School starts here the day after Labour day. I registered both girls at their new schools this week. Olivia is going into grade 11 and Bridget into grade 5. Both girls are looking forward to going to their new schools and I’m excited to see what the new school year has in store for us all! Back-to-school prep is in full swing this week. It can feel overwhelming like you don’t even know where to start and wonder if there is enough hours in the day to get everything done. I’ve been getting organized for the past couple weeks and really kicked it into overdrive this week. I don’t want to be doing everything the night before. Today I want to share a few tips on how to prepare for the busy back-to-school season to make the transition as easy as pie. 1. Make a list of lunch ideas. It’s very easy to get into a lunch rut making the same ol’ meal every day. I like to keep a balance between a nutritious lunch and something the kids will eat. I remember eating boring sandwiches everyday in elementary school and I hated them. I used to hide the uneaten sandwiches in the culvert pipe under our driveway. That was until my mom was watching out the window and saw me doing it. I want my kids to enjoy their lunches and I’ve been on Pinterest looking for lunch inspiration. Lauren’s Latest has an excellent post featuring 50 Healthy & Easy School Lunch Ideas. Pin it now to refer to for later! 2. 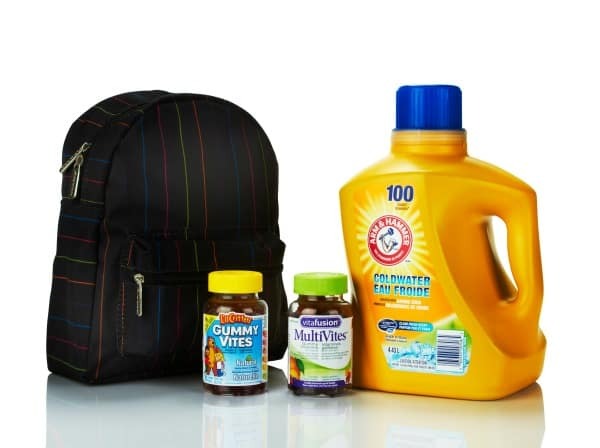 Have a plan for back-to-school shopping. Don’t head out to the stores until you’ve written a list of everything you need to buy for back-to-school. My kids need school supplies, clothes, shoes, fall jackets and more. If your school gives a list of supplies required wait until you have that list in hand before you start randomly buying. I jumped the gun one year and bought supplies before I had the list from the school. I ended up buying things the kids didn’t even need. 3. Create a schedule. Routines fly out the window when summer vacation starts. My kids stay up late and are hard to get up in the morning. Don’t wait till the night before school to start the new sleep schedule. I’m starting now to get to slowly integrate early bedtimes for Bridget, my youngest, into our routine. I want her to be ready for school starting and those early mornings. She’ll need her energy for school and a good night’s rest is imperative. 4. Get organized at home. I’ve been tackling a few little organizing projects here in my home. My main issue was paperwork chaos. I had a huge pile of papers to go through and either file away or take action with. I finally organized the massive pile into something more manageable. I bought these document folders to house the papers I’m keeping and sorted them into categories.Now they sit on the shelf for easy access and I don’t have to rifle through a huge stack to find what I need. I also have a fridge calendar ready to go for September. I like to keep track of all the lessons, appointments, etc that come up during the school year. I have a calendar on my phone, but the fridge calendar allows the whole family to see what is happening on any given day. 5. Stay healthy. Oh the germs! Doesn’t it always seem that soon after kids go back to school that someone is coming home sick? I give my daughter a multivitamin to ensure she’s getting all the vitamins and minerals she needs. She enjoys the gummy vitamin, L’il Critters Gummy Vites. They are made with naturally sourced flavours packed full of essential nutrients. For my teen daughter and myself, we take the Vitafusion MultiVites. They are gummy vitamins for older kids and adults. 6. Sort current fall clothes. I went through the cold weather clothes to see what still fits my daughter. The clothes that don’t fit anymore were donated to a local charity organization. The clothes that do fit were laundered so they were clean and fresh smelling and ready for back-to-school. Try washing them with Arm & Hammer Coldwater Laundry Detergent. It gets out dirt and odours and gives clothes a fresh boost with the power of baking soda. Because you are washing in cold water, you will save money on your next hydro bill. Are you ready for the back-to-school season? Good idea on making a list for school lunches. I make lists for back to school shopping (several) and go through ads and coupons. I have lists for things to do before school starts and to help schedules. I hadn’t thought of one for future lunch ideas. That would really help when your kids want something different. 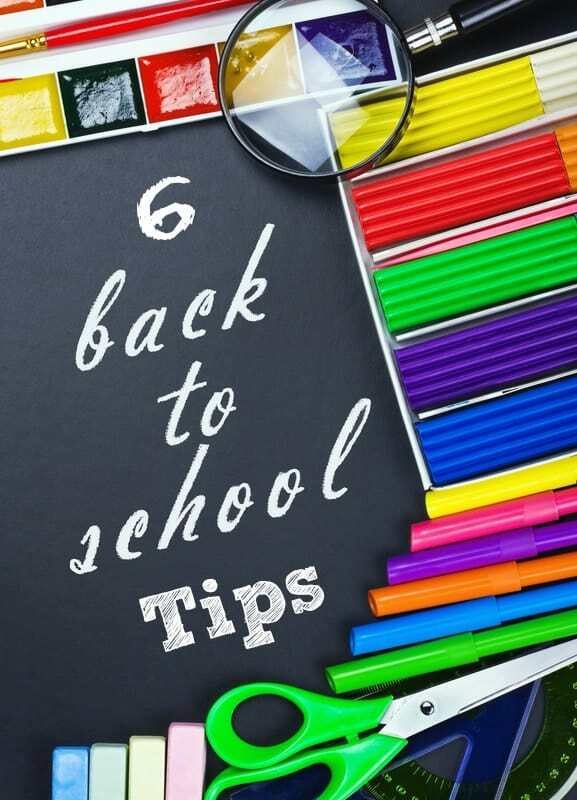 A good tip is to get things in your head and planned somewhat before school ever begins. While we don’t want summer to end, school planning really helps make that first month easier. All great tips! Never thought about making a list of school lunches to help avoid getting into a rut but it is a great idea! Great and useful tips! Thanks. I have a 10 year old going into Grade 5 this year, so this post was perfect. Thanks for the lunch ideas ~ I’m always in need of new lunch ideas. Good points about planning the healthy lunches they will actually eat and not ditch! All very helpful tips especially staying healthy! Thanks for these great tips! Although my boys are grown and out of the house now, some of these tips can apply to myself as well. Love the lunch idea listings. Thanks, I’ll be needing these tips! Wonderful post! I’ve got the fall clothing and the vitamins started. I now just have to organize all my paper work too. Thanks! Great tips! These are definitely going to come in handy next week when my son starts JK. I’m ready for the back-to-school season. My advice is never wait until the last two or three weeks to get everything done. My advice is to start shopping months before school starts. Fabulous tips Stacie!!!! As always, thank you so much! No I am sooooooooooooo not ready but, weirdly, quite happy for the change of pace! I am heading off to look over your list of lunch ideas – some of mine have gotten quite stale and new ideas are always greatly appreciated! I hope my son tries some as the same thing over and over, every day is driving me crazy! Getting ready for back to school certainly can be overwhelming! Thankfully, I only have one this year, for back to school,, my son going into grade 12, and his supply list is much shorter than when he was in the earlier grades! I think I’ll print this out ,and give it to my daughter. I really learned a lot, thanks for the great tips! My son doesn’t start JK until next year but these tips are so handy! Great tips, no school here because of teacher strike. Great ideas and useful tips!